The new fully electric Mini will be built at the Cowley plant in Oxford, BMW has confirmed. The model is set to go into production in 2019, with the Oxford plant being the main location where the new model will be built. Although the electric motor will be built in Germany and shipped over, the news has still been well received by the UK automotive industry. The news came after ministers were told to "pull out all the stops" to prevent BMW from moving the manufacturing of Mini to Germany or the Netherlands. While BMW has committed to its Oxford site, it has said that it had "neither sought nor received" any reassurances from the UK on post-Brexit trade negotiations. Mike Hawes, chief executive of the Society of Motor Manufacturers and Traders said: "This latest news is welcome news for the UK automotive sector, confirming Britain as a leader in the electric vehicle market." 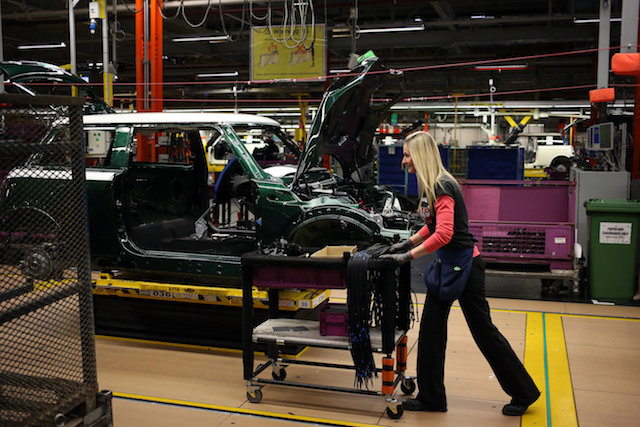 About 360,000 Minis are made each year – with more than 60 per cent of them being manufactured at the Oxford site. UK business secretary Greg Clark hailed BMW's announcement as a "vote of confidence" in the government's plans to make the UK a "go-to" place to build the next generation of vehicles. Clark previously held meetings with BMW's head of sales and marketing, Ian Robertson. He also set out plans earlier in the week to develop battery technology in the UK. A BMW spokesman told the Telegraph: "The business case for Oxford is the best one on offer given current economic and trading conditions. We can't speculate about what Brexit will mean yet."